1. 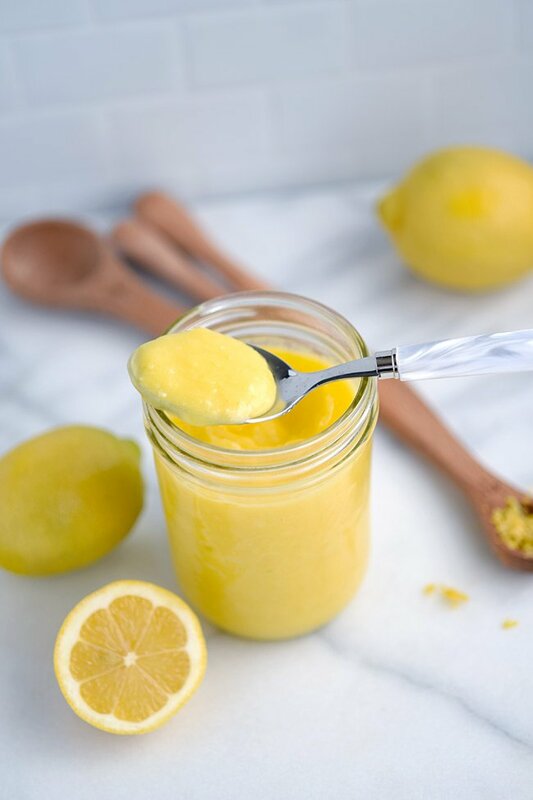 Mix together lemon juice, lemon zest, sugar, eggs, butter, and salt in a small pot or double boiler. 2. Turn heat to medium and whisky frequently for about 10 minutes until curd becomes thick enough to stick to the whisk. 3. Remove from heat and let cool. Store in the fridge for up to two weeks. I’ve been wanting to make lemon curd for a long time now and finally got inspired to do it when I saw Joanie Simon’s cute lemon curd nests! 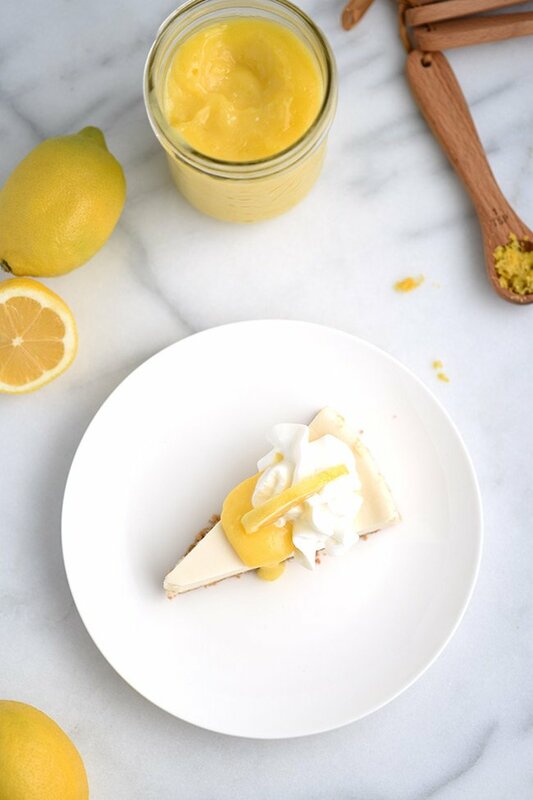 Since I figured I’d keep it easy the first time around, I just made lemon curd as a topping for a cheesecake I had already made. Grab my mascarpone cheesecake recipe here. So, I’m happy to report, I was able to successfully make lemon curd, my first try and it was just as delicious as I was anticipating! I used a recipe from Epicures because their recipe called for a lot less sugar than others and didn’t need to separate the eggs. I also reduce the amount of sugar a bit more just so it didn’t turn out too sweet. After making it, I can’t imagine it being more sugary, but I typically like very tart and not too sweet. So, if you do too then you’ll like this recipe. 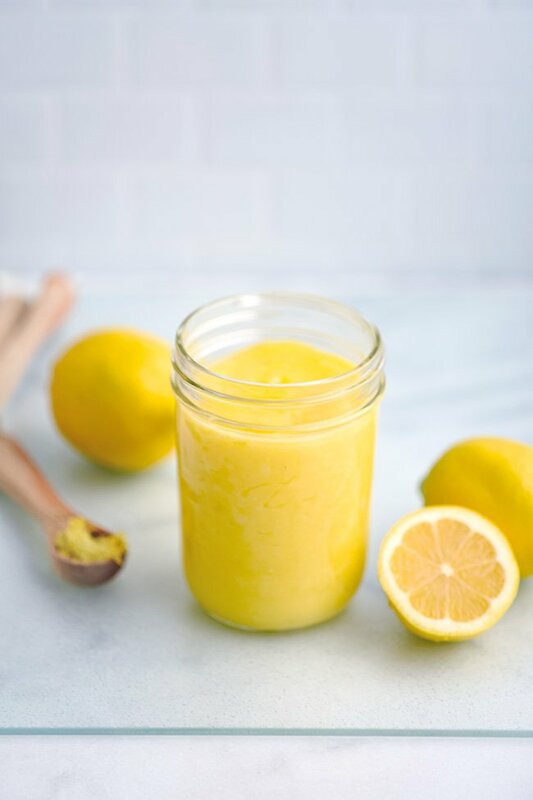 Lemon curd can typically be stored in the fridge for up to 2 weeks so make a bunch and you have leftovers! Bake it into a puff pastry along with some cream cheese. Nommmm. Serve as a dip with fresh fruit – goes well with anything! Eat it by the spoon full! The only thing special you might need to make this is a whisk and a mason jar for storage. 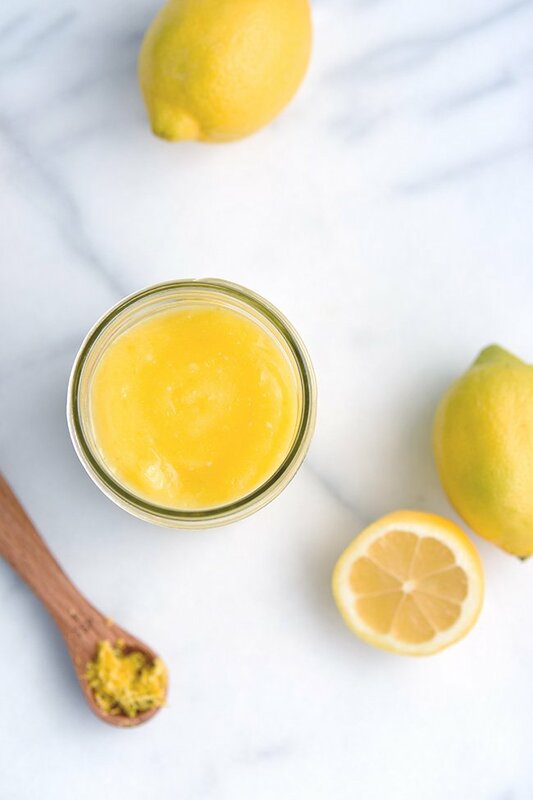 This recipe fits perfectly in a pint sized mason jar.